According to Remodeling magazine’s “2015 Cost Vs. Value Report,” window replacement is a popular home improvement project in the West North Central because it can pay back up to 80.6% in initial investment. New windows also add value, improve indoor comfort, and boost curb appeal. If you already have St. Charles, Missouri, energy efficient windows, you can add specialty windows to make it look unique. This type of non-operable windows come in different shapes and sizes, usually custom-made to your needs and style. Homeowners use these windows to add a decorative touch to their existing windows, doors, and rooms. Atop a door – You can add small windows above entry or patio doors to create a new look. In the front and center of the attic – This draws attention to the top of your home, creating the illusion of a larger home. Above a fireplace – This gives you a great view while you’re by the fireplace in the evening. In hallways and lobbies – If you have a large hallway, you can improve lighting by adding specialty windows at the end. Over other window styles – You can add specialty windows to any window style for design flexibility and more daylight. Where Do You Get Quality Windows? 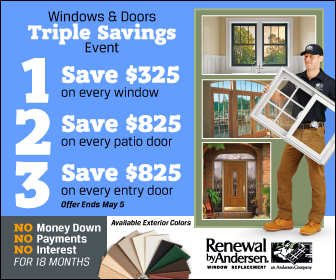 If you’re in the market for specialty windows, you can trust Renewal by Andersen® of St. Louis. We offer specialty windows custom-made to fit your style, budget, and needs. We offer the following shapes for our windows: chord, right triangle, triangle, peak pentagon, circle, quarter circle, octagon, trapezoid, equal leg arch, and unequal leg arch. Our signature shapes include Circle Top™, Springline™, and unequal Springline. Our windows also come in many colors and grille patterns. You can also choose your own glass options for energy efficiency. When you trust us for your windows installation in St. Charles, MO, you ensure beauty, durability, efficiency, and comfort all in one window. To learn more about our specialty windows, schedule a free in-home consultation today. You can reach us at (314) 332-2364 or through our contact form.